I have another article in a newspaper today — my local the Progress Leader. I like the photo a lot more in this one, I have to say. Hopefully I don’t look quite as intimidating (though I’ve been told that’s quite fitting considering what I’m publicising). A Balwyn North writer with a passion for gothic literature has co-written the prequel to one of Australia’s greatest horror films. 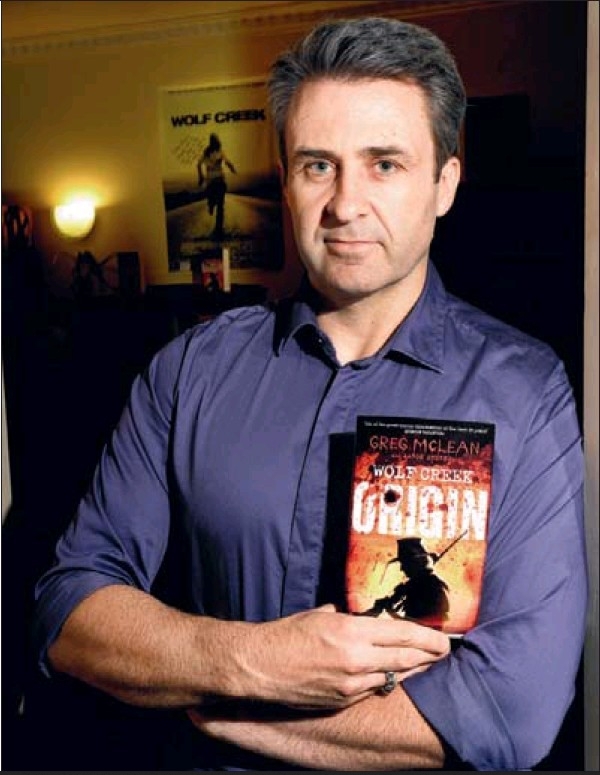 Aaron Sterns has not only co-written the sequel to the film Wolf Creek, Wolf Creek 2, but is also the co-author of the prequel novel Wolf Creek: Origin. Sterns said the book, released last Thursday, told the backstory of the films’ central character, Mick Taylor. The book was released alongside another book, Wolf Creek: Desolation Game as part of a series of six books. Sterns said the idea for Wolf Creek: Origin came about as a way to give readers an insight into the childhood years of Taylor. “It goes right back to the beginning. Sterns said he and co-author Greg McLean, the producer [and director] of the films, had come up with the background story while filming the sequel.